In the post-Gazzalian period the efforts to construct a common methodology and a common technical language for the disciplines widespread within the Muslim quarters were intensified; usul al-fiqh was no exception. 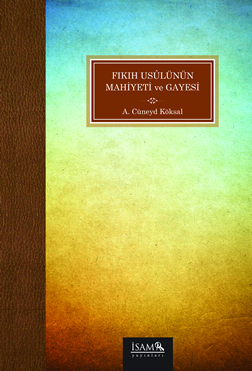 This work, especially dealing with the post-Gazzalian period, examines the essence/nature and purpose of usul al-fiqh within the framework of the terms, developed by Aristotle and his followers and accepted and elaborated by the Muslim thinkers since Ghazzali, common to almost every discipline. This philosophy/logic-oriented terminology is first evaluated independently and then applied to usul al-fiqh, afterwards the Western legal disciplines and usul al-fiqh were compared from the viewpoint of essence/nature and purpose within the framework of modern Western legal thought.